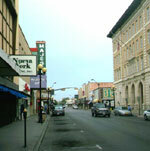 17 October 2007: Mayors of several Texas towns on or near the US border with Mexico have filed legal actions to stop the federal government from building a planned security fence to deter illegal immigrants and drug smugglers. Both Mexico's current president and former president are also weighing in against the fence. Mayors and city councils all along the Rio Grande river, which forms the border with Mexico, are banding together in an effort to stop construction of the fence. Patricio Ahumade Junior, the mayor of Brownsville, Texas, just across the Rio Grande river from Matamoros, Mexico, said he would deny federal surveyors access to city land to plot locations for the fence. He has also filed suit on behalf of the city to stop construction of the fence. Laredo Mayor Raul Salinas has called the planned fence a wall of shame and Eagle Pass Mayor Chad Foster continues to oppose the fence even though he says he has received hate mail. The mayors have found support from environmental groups who argue that the fence would disrupt the natural migration of wildlife in the Rio Grande river valley. Most business leaders in border towns also oppose the plan, saying it would create bad feelings with Mexico, a country on which they rely for most of their commerce. In an unusual move, critics of the fence plan have been joined by both Mexico's current president, Felipe Calderon and former President Vicente Fox, both of whom have appeared on US television news programs criticizing the planned fence. President Calderon appeared on ABC TV's Good Morning, America program. He said the flow of workers from his country to the United States is natural, given the demand for lower cost labor in the United States and the ready supply of young workers willing to migrate from Mexico. "It is impossible to stop that by decree, it is impossible to stop that with a fence," he said. While acknowledging the right of the United States to control its border, the Mexican president said the proposed fence is not the solution to the immigration problem. He said the ultimate solution is for Mexico to keep these hardworking laborers at home by providing them with good jobs there. "I do not want to see Mexico as a permanent provider of workers to the United States," said President Calderon. Former President Fox has appeared on numerous programs calling the fence a mistake that would harm bilateral relations. He argues that the best way to deal with the immigration problem is a guest worker program. According to plans disclosed by the federal government late last month, the fence in Texas would cover 112 kilometers in 21 segments and stand nearly five meters high. Those in favor of the fence say it would demonstrate US resolve to protect the border from smugglers, illegal immigrants and possible terrorists. Among the strongest backers of the plan are ranchers who own property on the border. They say illegal border crossers disrupt their work, damage their property and sometimes threaten their safety. 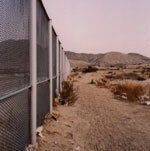 The US Congress approved the fence project in 2006, and it was signed into law by President Bush. The fence would extend 1,120 kilometers along the entire US-Mexican border, but not all of it would be an actual barrier. Nearly half would be a so-called ‘virtual fence’ utilizing high technology sensors and cameras as well as special deployments of Border Patrol agents. For decades, migration between the US and Mexico was a non-issue. Many state and local economies, especially in the American Southwest, depend on the low-cost labor provided by Mexican migrant workers. Americans overlooked the migrants’ lack of documentation to certify their legal entry into the US. It was a policy of “don’t ask, don’t tell.” American employers didn’t ask to see the official papers required for legal employment, and American authorities didn’t enforce violations of immigration laws.